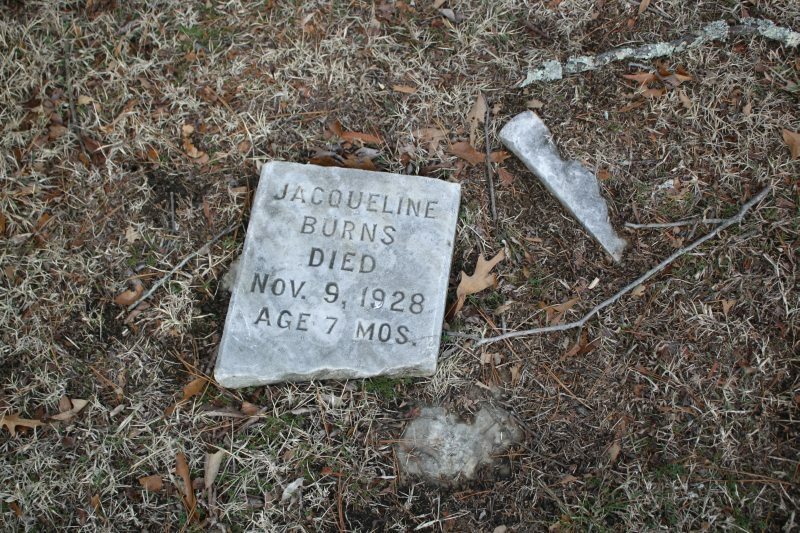 Wednesday’s Child-Jacqueline Burns "Abandoned on Yanceyville Road"
Jacqueline Burns’ broken tablet headstone can lies on the ground in Danville’s Green Hill Cemetery. There is no birth date in this case, possibly because no one was 100% sure when the baby was born. In fact, Jacqueline Burns wasn’t even the name given to her by her parents. She may not have even been given a name by her birth parents. Very little information exists about this infant, but from what is available we learn she had a very short, tragic life. No effort was made to secure a home for the child because it was realized that it would take three years of orthopedic treatment to remove the handicaps under which she was born. Dr. Thomas Wheeldon, clinician of the Wednesday Club who comes here once a month, had been giving the baby treatment and the little feet had already begun to respond in a way which stimulated hope that eventually she would walk. The treatment necessarily had to be gradual on account of the child’s age. In other ways the baby was normal and one of unusual beauty and with good weight until she became suddenly ill.
After sifting through a number of front pages, I came across the May 1, 1928 headline, “CRIPPLED FOUNDLING IS ABANDONED ON PORCH YANCEYVILLE ROAD.” In this article, it was believed that when Jacqueline was abandoned she was about three days old. R.H. Cook of the Pumpkin Creek area found the baby on his porch after midnight dressed in several flour sacks and wrapped in a sheet. Jacqueline’s feet were inverted and she had stiff knee joints. The article mentions that it was fairly common for people to leave unwanted babies on the porches of strangers of the middle of the night, especially children who had medical issues or whom might otherwise bring shame on the family. As it happened, around the same time that the baby was being abandoned, police officers responding to a different call nearby passed by the Cook home and saw a man on the porch wearing a gray coat. 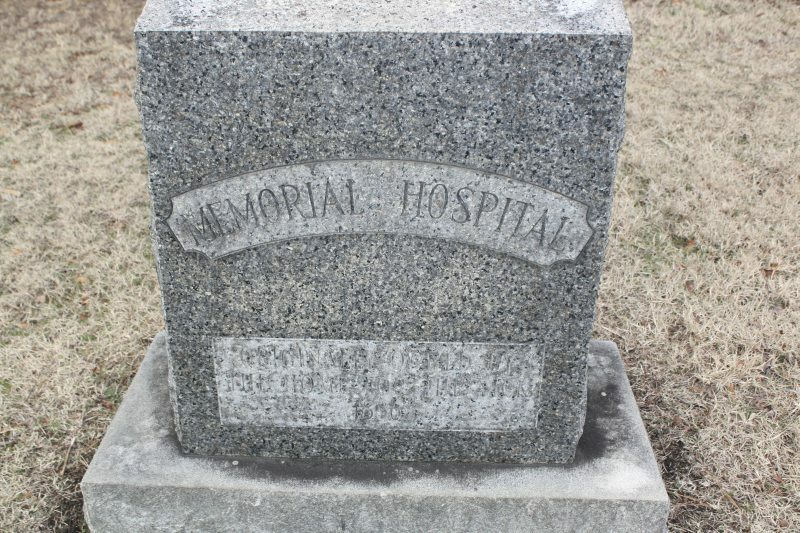 Jacqueline’s fallen marker isn’t very far from this stone, which bears the former name of Danville’s hospital, “Memorial Hospital.” When I took the photo, I thought the words underneath that would be legible so I didn’t stop to read them then. (It always seems to be raining when I go to Green Hill.) There could be other abandoned children buried in the area. Such a sad ending to an equally sad life story. As a mother of a 9 month old it really struck home how lucky we are to have our children in an age when many of the deadly childhood illnesses are either treatable ot eradicated.